NYC, 02/21/2019, 6:00PM. Tax Tips For Freelancers. This workshop is designed to inform startups and established freelancers, entrepreneurs and independent contractors, about their tax requirements and recordkeeping responsibilities. Attendees will learn about Schedule C, Profit or Loss from Business (Sole Proprietorship), deductible business expenses, self-employment tax and other tax topics. It will be held by private practitioner and enrolled agent John Sheeley. 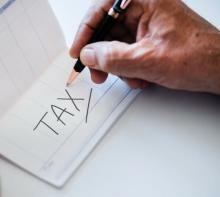 Sheeley has been engaged as a tax practitioner since 1987. After thirteen seasons as a multi-unit franchisee of a national tax chain, John went to work for a large regional accounting firm in 2003, where he divided his time between representing clients in sales & use tax controversies and examinations, and tax compliance work for non-resident aliens.